Groundbreaking tolls for motorists entering the busiest sections of Manhattan are coming to New York under a new state budget. Andrew Siff reports. A statewide ban on plastic bags and groundbreaking tolls for motorists entering the busiest sections of Manhattan are coming to New York under a new state budget that takes several ambitious steps to address long-standing environmental and transportation challenges. Lawmakers worked through the night Sunday to pass the $175.5 billion spending plan. The Democrat-controlled Senate finished passing budget bills around 2:30 a.m. Monday, followed about five hours later by the Assembly, also controlled by Democrats. Monday is the start of a new fiscal year and the date the budget is due. The sprawling legislation contains a myriad of provisions guaranteed to affect residents and visitors in some way. Provisions in the budget will eliminate cash bail for misdemeanor and non-violent felony offenses, make an annual 2 percent property tax cap permanent, increase education spending by $1 billion and create a new, $100 million public campaign finance system. "This budget is probably the strongest progressive statement that we've made," Democratic Gov. Andrew Cuomo told reporters Sunday as lawmakers worked through hours of debate and voting on the budget. "If you have big problems, it calls for big solutions." One key detail will be resolved later: the amount of the new tolls in Manhattan. Known as "congestion pricing," the first-in-the-nation tolls will be imposed starting in 2021 on vehicles traveling south of 61st Street as a way to discourage traffic and raise money for the city's ailing subways and regional commuter rail systems. Similar tolls are already in place in cities including London, Singapore, Stockholm. 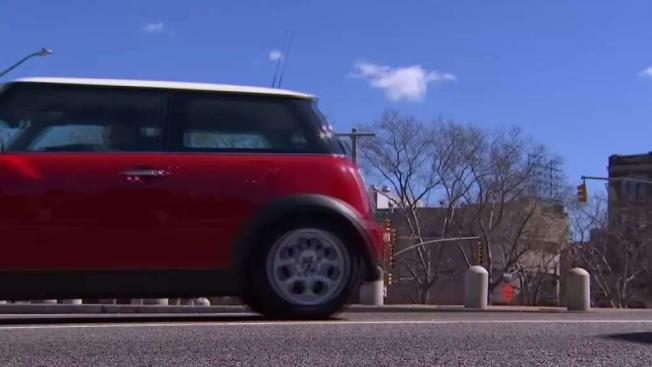 The tolls could cost nearly $12 for personal vehicles, according to a report issued last year. Calls for congestion tolls had been dismissed for years as a political long-shot until Cuomo made it a priority this year, along with an accompanying overhaul of the Metropolitan Transportation Authority, the byzantine agency that oversees city transit. Even with key details unresolved, transit advocates praised passage of the tolls as vital to the future of the subways and New York's viability as a 21st century global city. "If our transit system is the beating heart of our city, then our arteries are severely clogged," said Scott Rechler, chairman of the Regional Plan Association, a non-profit planning organization, and a former MTA board member. "Congestion pricing is the right solution at the right time, and it is only fitting that New York City be the first city in the U.S. to incorporate it." The budget includes two other revenue sources for the subways: a "mansion tax" on Manhattan homes that sell for $25 million or more, and an internet sales tax levied on online retailers. Without the new revenue, Cuomo had warned of the possibility of sharp increases in subway and bus fares. With the ban on plastic bags, New York will join California and Hawaii as the only states where the ubiquitous items are banned throughout the state. Taking effect March 1, 2020, the ban will apply to most single-use plastic bags provided by grocery stores and other retailers. Individual counties will have the option of charging 5 cents for paper bags, with 2 cents going to local governments and 3 cents to the state's Environmental Protection Fund. "The convenience of plastic bags is simply not worth the environmental impact," said Assembly Speaker Carl Heastie, D-Bronx. "By reducing our state's usage, we will see less litter in our communities and less plastic pollution in our waterways." The budget will establish a new commission that will come up with a system for public financing of legislative and statewide offices, with up to $100 million in taxpayer funds authorized annually for such a system. The commission's conclusions are due Dec. 1 and will have the force of law unless the Legislature were to convene within 20 days to modify or reject the proposal. Supporters of public financing say it would reduce the influence of money in politics. Many expressed tepid support for the commission, since it will empower an unelected commission to largely circumvent the Legislature. Susan Lerner, executive director of Common Cause-New York, called the commission "a ploy" and said public financing of campaigns is too complicated an issue to be jammed into a state budget. "New Yorkers deserve to get it right," she said. The legalization of recreational marijuana was the most significant item left out of the spending blueprint. While Cuomo had initially pushed to include legalization in the budget, top lawmakers said there wasn't enough time to resolve complicated questions about regulations and taxation. Marijuana is expected to be the top issue facing lawmakers over the next few months as they work toward adjournment in late June. Legalization advocates expressed impatience with the delay. "Each day marijuana legalization is not passed, someone is arrested, deported, evicted or loses custody of a child because of criminalization," said Kassandra Frederique, state director of the Drug Policy Alliance.